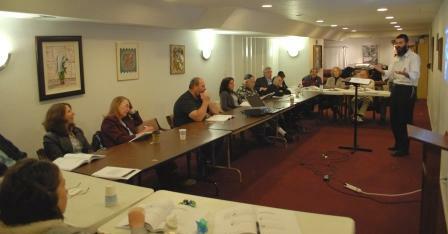 The Jewish Learning Institute’s Newest Class Looks at Positive Psychology through the 3,000-year-old lens of Jewish thought. Over the last fifty-odd years modern psychology has focused predominantly on mental illness, yet in recent years the emphasis has begun to pivot away from what makes life miserable, towards the positive: What makes life worth living? What makes happy people happy? And while this may be a relatively new topic for psychologists, it’s one that was addressed by Jewish wisdom and mysticism centuries ago. Beginning Tuesday November 4, the Rohr Jewish Learning Institute (JLI) will present How Happiness Thinks: Jewish Perspectives on Positive Psychology, the institute’s new six-session fall 2014 course. 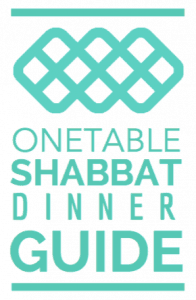 Rabbi Benjy Brackman of Chabad of NW Metro Denver will conduct the six course sessions at 7:00 pm on Tuesday evenings at Chabad of NW Metro Denver at 4505 W 112th Ave Westminster. Each session is 90 minutes and is presented with a power point presentation and a student’s text book. While drawing on 3,000 years of Jewish wisdom on happiness, the course, which was prepared in partnership between JLI and the Washington School of Psychiatry, builds on the latest observations and discoveries in the field of positive psychology. How Happiness Thinks offers participants the chance to earn up to 15 continuing education credits from the American Psychological Association (APA), American Council for Continuing Medical Education (ACCME), California Board of Behavioral Sciences (CBBS), Social Work Board of the State of Maryland, and the National Board of Certified Counselors (NBCC). The course explores to what degree surroundings and circumstances effect ones overall happiness, potential challenges to living a joyous life, and whether G-d cares if people are happy or not. Like all previous JLI programs, How Happiness Thinks is designed to appeal to people at all levels of Jewish knowledge, including those without any prior experience or background in Jewish learning. All JLI courses are open to the public, and attendees need not be affiliated with a particular synagogue, temple, or other house of worship. Interested students may call 720-984-5805 or visit www.COJewish.com/JLI for registration and other course-related information.